India, home to more than one billion people, has been a land of religious diversity for thousands of years. It is the birthplace of four religions, Hinduism, Buddhism, Jainism, and Sikhism, and has also assimilated two major faiths that were imported to its shores, Islam and Christianity. It is also home to the Parsees (Zoroastrians) who came from Persia a thousand years ago, and a small Jewish community has lived in Kerala since Roman times. Today, the majority of India's population is Hindu, but with 156 million Muslims, it is also the second largest Muslim country in the world. In addition, 24 million Christians, 19 million Sikhs, 8 million Buddhists, and 4 million Jains, along with members of many other lesser-known faiths and sects, are a vital part of the nation's multicultural fabric. The complexities of maintaining cohesion within such a pluralist society has been grappled with throughout India's history, from the Buddhist Mauryan emperor Ashoka to the Muslim rulers of the Mughal Empire, the Christian viceroys of the British Empire and today's democratically elected leaders. 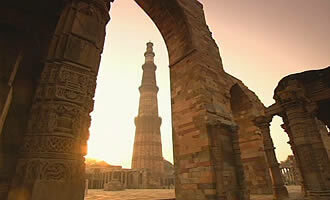 Since independence, India's commitment to secularism has remained resolute; its constitution does not recognize a specific religion, but faith remains an crucial part of everyday life as evidenced by the abundance of flourishing temples, mosques, churches, shrines, and pilgrimage sites found all over the country. Derived from the Sanskrit word "jina," meaning "to conquer," Jainism teaches that all life forms have an eternal soul bound by karma in a never-ending cycle of rebirth. Through nonviolence or ahimsa, the soul can break free of this cycle and achieve kaivalya. Traditions and ideas central to Jainism can be traced to the 7th century BCE, but Mahavira, the last of Jainism's 24 great spiritual teachers, formalized them into the Jain religion in the 6th century. Some scholars see the roots of the faith as far back as the Indus civilization in Gujarat. Central to Jainism are five vows: nonviolence (ahimsa), truthfulness (satya), non-stealing (asteya), chastity (brahmacharya), and non-possession or non-attachment (aparigraha). As a manifestation of ahimsa, Jain monks wear nets over their mouths and sweep the street with their clothing so as to avoid harming insects, thereby accruing karma from not injuring even the smallest life forms. Mahavira, whose teachings are recorded in the Agamas texts, taught liberation through the three principles of right faith (samyak darshana), right knowledge (samyak jnana), and right conduct (samyak charitra). Between the first and second centuries BCE, the Jains divided into an orthodox sect Digambara ("sky–clad") in which followers claimed adherence to Mahavira's philosophy by going without clothes, and the Shvetambara ("white–clad") sect. Approximately four million Jains practice the religion worldwide, and important places of pilgrimage among observers include Mt. Abu in Rajasthan, site of five ornate Jain temples, and Sravanabelagola, site of a 57.5 foot statue of Gomateshvara (Bahubali), Jainism's first spiritual leader or tirthankara. 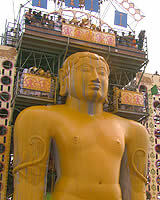 Today Sravanabelagola is the site of the Mahamastak Abhishek, the biggest Jain religious festival which takes place every 12 years, the last one in 2007. Although a tiny minority in modern India, Jews have a long history on the subcontinent, and in fact, it is home to several distinct Jewish communities. The first to arrive, possibly in the last centuries BCE, were the Jews who settled in Cochin (now called Kochi), in south India. 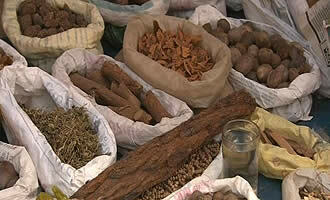 They remain a small but important presence in Kochi, a trading hub on the Kerala coast since ancient times. Also existent are the Bene Israel, believed to have arrived some 2,100 years ago; they settled in and around Mumbai and in present day Pakistan. More recent arrivals were the Baghdadi Jews, so called because they are chiefly descended from Iraqi Jews who migrated to India during the British Raj, between 150 - 250 years ago. India's most prominent Jewish community—considered one of the oldest in the world east of Iran—remains the one in Kochi. Although very few members of the community remain, most having long since emigrated to Israel, the Kochin Jews were and are an important part of the Kerala coast's spice trade, with huge warehouses containing mountains of turmeric, chillies, and pepper located directly below their family living quarters. India's largest Jewish community, however, is the Bene Israel in Mumbai. Although their arrival in India is something of a mystery (some claim to have arrived in India in the 2nd century BCE), members of this community adopted the occupation of oil pressing and became known as "shanwar telis" or "Sabbath-observing oilmen" because they didn't work on the Sabbath. They were physically and linguistically indistinguishable to outsiders from the local population but had their own traditions, observed the Sabbath, circumcised their sons, and performed other rituals associated with Judaism. Without exception, all Jewish communities have been accepted and assimilated into Indian society. In fact, Indians tend to take pride in the fact that Jews in India have rarely had to deal with anti-Semitism from either Hindus or Muslims. When anti-Semitism did raise its head, it was perpetrated by Dutch colonialists. The recent attack (November 2008) on the Mumbai Chabad House Jewish Centre is believed to have been perpetrated by Islamic extremists from outside India. India is also the only place in the world where Jews are comfortable with using Swastikas in their signs—because it's an ancient Hindu symbol and has none of the negative connotations that is found in the West. The eighth incarnation of the Hindu god Vishnu, the preserver of the universe, Krishna is one of the most important and widely worshipped gods in India. In addition to being venerated as an avatar (human manifestation) of Vishnu, some traditions within Hinduism also acknowledge Krishna as the supreme being. Among the common representations of him is as a young man playing the flute and a baby stealing butter. These iconic images derive from the stories of his early life included in the ancient religious text the Bhagavata Purana. Krishna grew up among the cowherds and milkmaids (gopis) of a village in the kingdom of Mathura and became the darling of the gopis as a young man, seducing them with his flute playing and dancing with them in the moonlit woods. From these events, Krishna is commonly depicted as a handsome, dark or blue skinned youth standing with one leg bent in front of the other holding a flute to his lips. The lower half of his body is covered in a dhoti, often yellow in color, and he is adorned with jewels and a peacock feather. By Krishna's side is his favorite gopi, Radha, who is typically shown only in conjunction with him. In the middle ages the love between Krishna and the cowgirl Radha inspired a rich devotional literature still treasured by people of all communities in all walks of life. 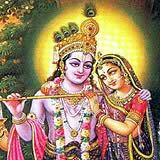 In a tale which glorifies the ideal of love between the sexes, Radha for many symbolizes the individual's surrender to the love of God. The monkey king, Hanuman, is the son of the Vedic wind god, Vayu, and the supreme embodiment of fealty. He has the head of a monkey and the body of a human, along with the power to fly and change size and shape. Representations of Hanuman often show him flying through the air while supporting a mountain in his left hand, a reference to one of his daring feats in the Hindu epic the Ramayana. After locating and rescuing Sita, the wife of Hindu diety Rama, from Ravana, the demon king who had abducted her, Hanuman and his army fight alongside Rama and his brother, Lakshman, in the great battle against Ravana in Lanka. When Lakshman is wounded in the battle, Hanuman is tasked with finding the herb that will save him. Hanuman flies to the Himalayas, but when he can't identify the correct herb, he returns to Lanka with an entire mountain and helps to save Lakshman's life. 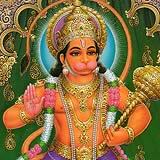 For his numerous services and loyalty to Rama, Hanuman has come to be revered as a symbol of strength and devotion. 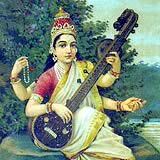 The Hindu goddess of knowledge, music, and the arts. Saraswati first appears in the Rig Veda as the celestial river of the same name, but over time, she has come to be inextricably linked to learning and the creative arts, most notably music. Although regarded as the consort of Brahma, the god of creation, Saraswati is worshipped independently of him as the deity who can bestow wisdom and drive out ignorance. 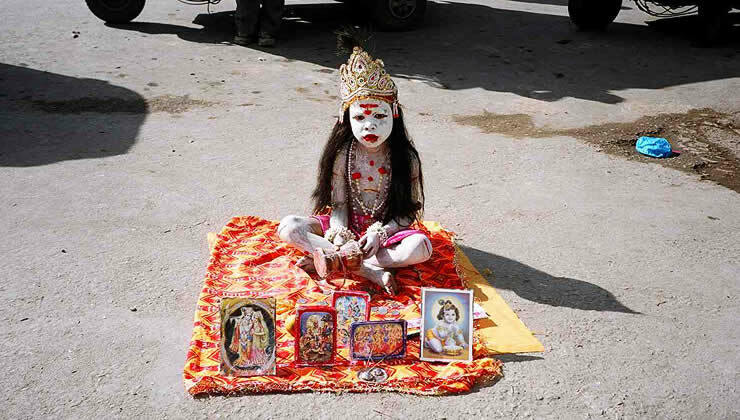 Even today, students pray to her to achieve success in their studies and exams. Saraswati is traditionally shown as a fair young woman dressed in a white sari, seated on a lotus, with four arms. In her front two arms, Saraswati holds or plays a veena, a multi-stringed Indian musical instrument, while in her back two hands, she may carry other objects, such as prayer beads, a manuscript, vessel of water, or lotus blossom, that are symbols of meditation, knowledge, purification, and purity respectively. Her mount, a swan, is often situated near her feet. 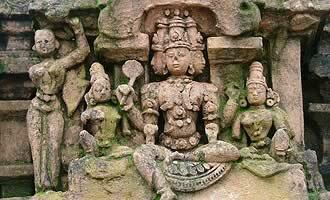 The Hindu goddess of beauty, wealth, and prosperity who is the consort of Vishnu, the preserver of the universe. She is often represented as a beautiful young women with four arms sitting or standing on a lotus bud. Her four arms symbolize the four goals of human life: artha (worldly wealth and success), kama (pleasure and desire), dharma (righteousness), and moksha (knowledge and liberation from the cycle of birth and death). She is usually shown clasping a lotus flower, a symbol of purity and fertility, in her two back hands, while gold coins, signs of wealth, tumble from one or both of her front hands. Lakshmi’s association with prosperity is also emphasized by her dress, an elaborate sari often red with gold embroidery, and the fine jewelry that adorns her. 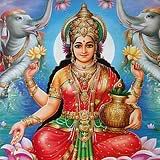 Since Hindus believe Lakshmi can bestow good fortune and well-being on the family, she is a common household deity and the focus of worship during the festival of Diwali. The elephant-headed Hindu god, also known as Ganapati, is considered to be the lord of beginnings and the remover of obstacles. One of the most beloved deities of the Hindu pantheon, individuals pray to him before embarking on a new endeavor or journey to ensure its success. The son of the god Shiva and his wife, the goddess Parvati, Ganesha is represented with the head of an elephant (a symbol of strength and wisdom) over a plump, potbellied human body with four arms. Typically, he is shown holding a goad or ax and a noose in his two back hands. The goad, in his back-right hand, helps to push humans toward the righteousness path and can also strike and remove obstacles, while the noose in his back-left hand harnesses impediments. 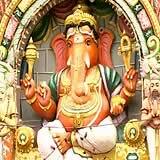 Ganesha is said to have a sweet tooth and is often shown holding a tray of laddu (Indian sweets) in one of his front hands or with a bowl of it near his feet, where his mount, a rat, is found. His front right-hand may be presented in the abhaya pose, with the palm facing out and the fingers pointing up, a gesture that confers protection on the devotee. 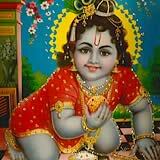 Among the popular depictions of the Hindu god Krishna is of him as a baby purloining butter from a pot. His name means the 'dark one' and some scholars think he was a pre-Aryan aborginal deity worshipped by the people of the ancient city of Mathura, south of Delhi. His birth and childhood exploits in a village of cowherds are described in the ancient Sanskrit text the Bhagavata Purana. As the eighth child of Devaki and Vasudeva, it was prophesized that Krishna—the eighth avatar (human manifestation) of the god Vishnu—would grow up to kill King Kansa, the tyrannical ruler of the kingdom where he was born. His father, Vasudeva, was able to save Krishna by switching him with a baby born to one of the cowherds in a local village, Vrindavan. It was here that he gained a reputation as a lovable mischief-maker by stealing butter, his favorite food, from the gopis (milkmaids) and playing pranks on them. These playful episodes from his life have made Krishna an endearing figure, who's fondly referred to as the "butter thief," and has been immortalized through the representations of him as a smiling young child with his hands in a pot of butter. Why is a secular constitution important to the stability of India? 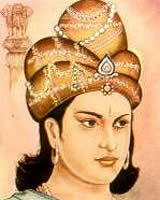 Do you think that Indian stability would have been threatened with a religion-based government? 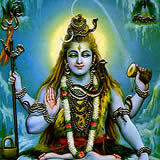 Hinduism includes thousands of different gods, each playing a different role. What does this tell us about the nature of Hinduism? Which Hindu god fascinates you the most? Why? Why are the stories of the gods so important? How do these stories compare to stories from the New and Old Testaments?